↑ 1.0 1.1 Warriors: A Vision of Shadows #6: The Raging Storm Kindle Edition. Amazon. ↑ 3.0 3.1 3.2 貓戰士六部曲幽暗異象之六：風暴肆虐. 晨星網路書店. ↑ En elv av flammer. norli. ↑ 6.0 6.1 Den store stormen. norli. 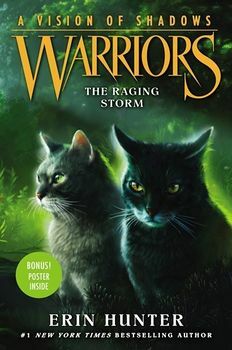 ↑ Warriors: A Vision of Shadows #6: The Raging Storm Library Binding – November 6, 2018. Amazon. ↑ 8.0 8.1 Warriors: A Vision of Shadows #6: The Raging Storm Hardcover – November 6, 2018. Amazon. 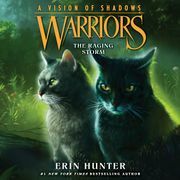 ↑ 9.0 9.1 Warriors: A Vision of Shadows, Book 6: The Raging Storm Audible Audiobook – Unabridged. Amazon. ↑ 10.0 10.1 6. Staffel - Band 6 : Wütender Sturm. 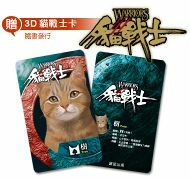 Warriocatrs.de.